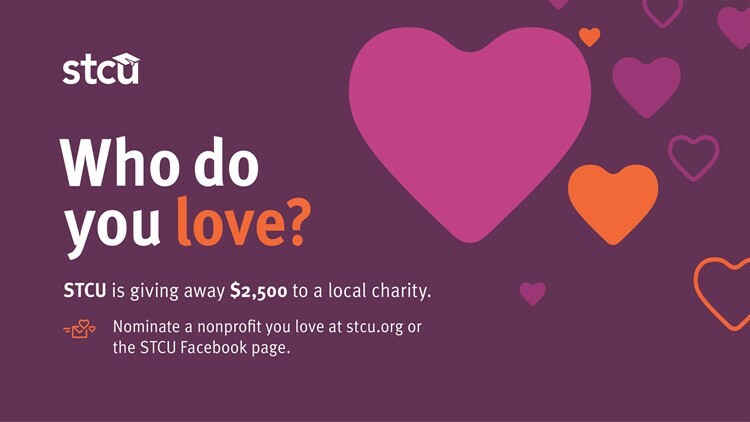 KREM 2 & STCU are teaming up to celebrate 'Who Do You Love? throughout the year. The new partnership will allow everyone to support their favorite charity. KREM 2 & STCU are teaming up to celebrate 'Who Do You Love? throughout the year. The new partnership will allow everyone to support their favorite charity. We all have a non-profit close to our heart. Now, get your favorite charity money! Turn your vote into cash. STCU will be writing the checks that make our community a better place. Here's a look at the nomination schedule. Click HERE to get to the voting site. Nomination schedule for "Who do you love?" Nominate local nonprofits that support military and veterans. One $2,500 winner! Nominate local nonprofits that promote a healthy life. One $2,500 winner! Nominate local nonprofits in any category or industry. First place, $5,000; second place, $2,500; third place, $1,000. Nominate local nonprofits that benefit area children. One $2,500 winner! Nominate local nonprofits that support senior citizens. One $2,500 winner!